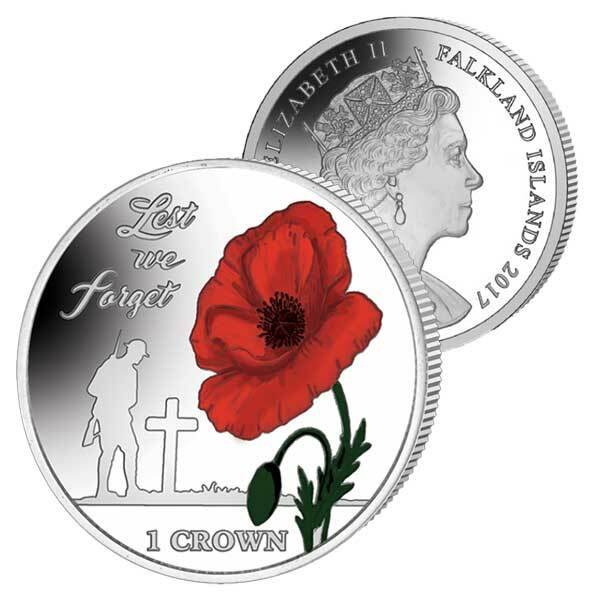 To honour the 35th Anniversary of the Falklands Liberation, Pobjoy Mint has actually produced a 'Lest We Forget' Poppy coin in honour of the soldiers that offered their lives for the sovereignty of their country. 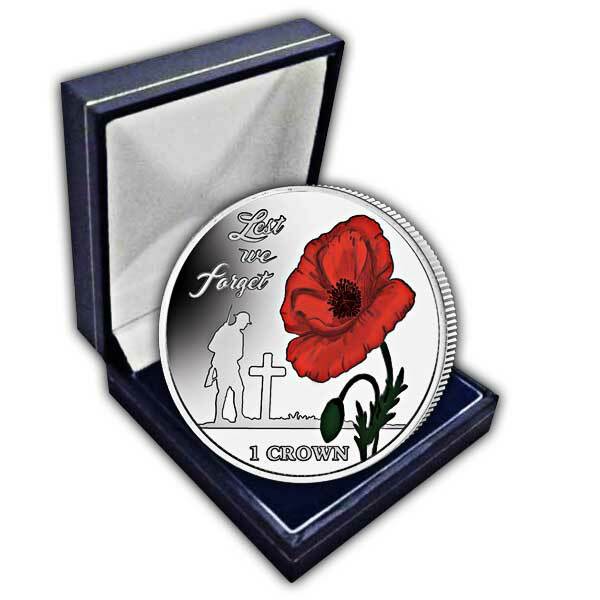 The reverse of the coin features the silhouette of a soldier poised in thought whilst dominating the grave of a fallen comrade. Pobjoy Mint has likewise featured a poppy in the design, the sign of remembrance. When producing the poppy Pobjoy have added excellent detail to it and utilised several tones of red in order to bring it to life. 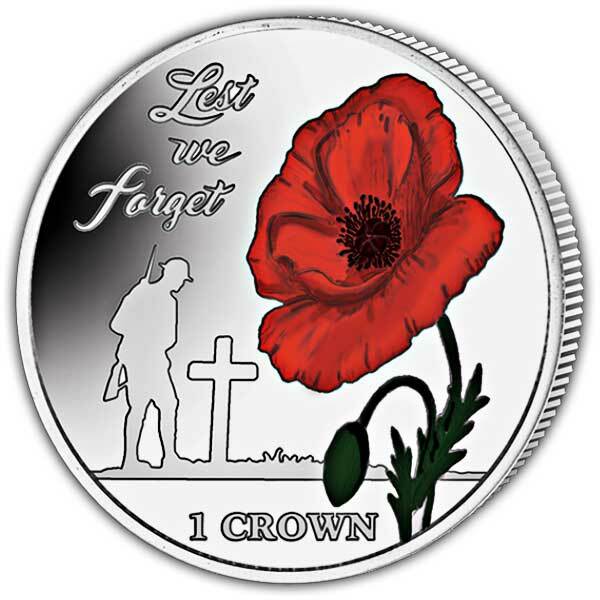 The denomination of the coin is a '1 Crown'. The obverse includes the Pobjoy Effigy which records Her Majesty Queen Elizabeth II in high detail.